NOTE: My new novel, Dishonored and Forgotten, about this incident, will be available in January. I am scheduled to speak about the book at the January meeting of the Houston Police Retired Officers Association on January 12th. 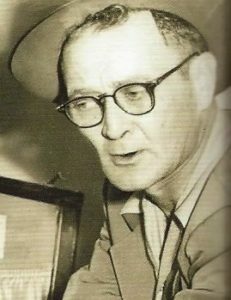 Houston Police Detective Martin Billnitzer’s family never believed he committed suicide at the police station in 1954. Even the most gullible observer would have likely questioned the ruling of suicide. He was shot twice in the heart and was believed to have been cooperating with Federal agents in the investigation of corruption within the highest echelons of the Houston Police Department. Today when an officer is killed, the department has a Family Assistance Unit available to guide the family through this difficult time. In 1954 no such unit existed. Some Billnitzer family members felt at the time that the Houston Police Department was more a threat than a band of brother officers. One relative described the funeral as “scary,” saying she believed the killer was a policeman and that he might be at the funeral. Martin’s brother, Harold, was reported as having been afraid to go near the casket that day. But Harold held a life-long hope that the report of Martin Billnitzer’s death would someday be investigated again and proven a murder. He remembered Martin telling him that another officer had suggested if Martin wanted it, he could live more luxuriously than most officers did at the time. The implication was that more money could be made while he worked narcotics cases. In his memoir, published in 1976 or later, Harold wrote, I pray that someone will come forward to clear Martin’s name before I die. I would like to be able to forgive him (the responsible person) so that God can forgive me. Harold’s son, Michael, took up the effort to clear his uncle’s name. He knew it was important to his father. Documents were gathered, including those from the Federal Government in which agents referred to the Billnitzer death as a murder. A reporter for an internet news outlet wrote about the death, writing that Michael sought out forensics experts around the country to review the previous autopsy and other reports. One, forensics psychologist Katherine Ramsland, agreed to look at the case. Some of her findings were surprising. According to her review, the reports made at the time indicated no fingerprints were found on the murder weapon; it was highly unlikely that Billnitzer could have accomplished shooting himself twice in the heart; and that the death-scene investigation appears, at the very least, to have involved tunnel vision: an assumption that Billnitzer had reason to commit suicide, so the death event is therefore a suicide. Finally, believing he had gathered enough information to warrant another look at his uncle’s death, Michael Billnitzer wrote a letter, in January of 2004, to Acting Houston Police Chief Joe L. Breshears. He requested the investigation be re-opened and he forwarded the information he had gathered with the request. On March 3, less than two months later, he received a response. The letter read, in part,…the Homicide Division conducted considerable research into the matter and learned that Detective Billnitzer’s death was thoroughly investigated at the time….. Our research in this matter uncovered no information that would contradict this finding or warrant reopening the case… In fairness to the department, maybe Michael Billnitzer’s request was a difficult one to accommodate. Re-opening a fifty-year old case is sometimes impractical. 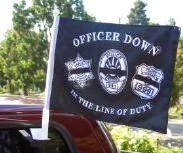 Approaching the various memorial organizations that recognize officers who sacrifice their lives in the line of duty might have been more successful. We honor our officers who give their lives in the line of duty. We have memorial walls for their names. Families are honored at the state capitol and survivors have formed groups to help family members cope with the tragic loss. But in the case of Martin Billnitzer, we may have left a comrade behind. Could a definitive conclusion be reached at this late date, sixty years after the fact? Probably not, but a part of me wants to believe that when an officer takes the oath, pins on the badge and straps on the gun, in a case like this, we should err on the side of the deceased officer.